The ability to create appealing and informative reports seamlessly from available marketing data is crucial for any business. The report should facilitate meaningful analysis and also should be easy to share with others. We all know that converting Google Analytics data into presentable reports is a tedious process. Several hours need to be spent on exporting, formatting and filtering this data. However, this is not an efficient or effective process. So, what is the alternative? Google has released the beta version of a new tool, Google Data Studio, which allows you to connect to all your marketing data and transform them into appealing, informative, customizable reports that can be easily understood and shared. This free tool allows you to track Key Performance Indicators that support your business objectives and helps generate some periodic reports based on your marketing data. 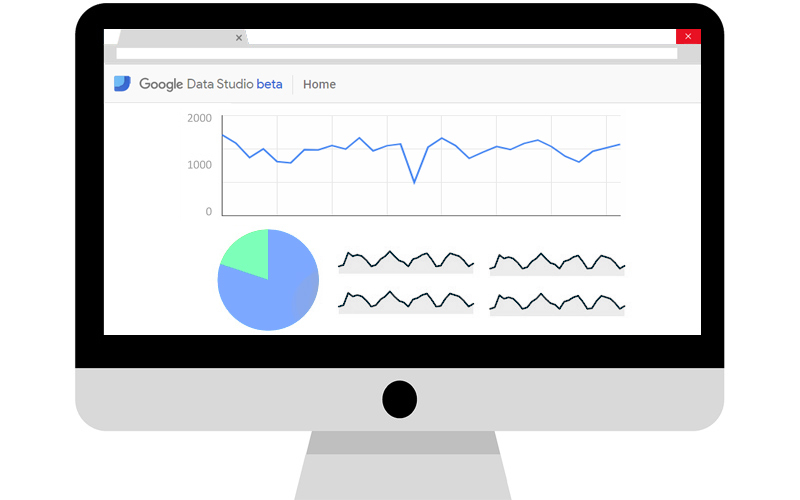 Google Data Studio, like any other Google service, is closely integrated with other Google services like Google Ads, Sheets etc. Google Data Studio supports a variety of data connectors in addition to Google Analytics, like DoubleClick, Google Ads, Google Big Query, MySQL, Google Attribution, Google Sheets, YouTube channel, etc. Connectors are bridges that permit a Data Studio data source to access all the information stored in your data sets. Thus, since there is support for all these connectors, there is no need to extract data from these sources and export them to excel sheets and then upload them to Google Data Studio. High-level skills are not required to work with the Google Data Studio. It is easy to use for anyone who has a clear idea about what their important KPIs are and how they can represent them through visualizations. The API of Google Analytics limits you to just 7 dimensions and 10 metrics. Google Data Studio won’t bother you with such limitations. You are allowed to create any number of reports as you wish, in Data Studio. The analytics reports that Data Studio offers are all dynamic. All the changes you make to your data are instantaneously reflected in the dashboard. You don’t have to periodically update the data you had previously provided. A live data connection also has the advantage of allowing toggling between different time ranges. You can use whichever date range that satisfies your needs, depending on how much your data dates back to. Unlike Google Analytics, Data Studio is not limited to just 12 widgets per each dashboard. It provides an empty dashboard on which you can create a single page/multipage reports. Since there aren’t any set sizes for columns or widget boxes, you can add any number of widgets on the dashboard and also adjust its size according to your needs. Google Data studio allows connections to several data sources. It is possible to create reports using data from multiple Google Analytics accounts. Since you can individually set the data source for each chart on your dashboard, you can even combine the data from all the data views on the very same dashboard, unlike Google Analytics. A set of dynamic controls are provided by the Google Data studio so that the viewers can easily filter through the content using dimension and data range selectors. The built-in charts of Data Studio provide a lot of options to visualize data, compared to Google Analytics. It only takes a few clicks to create these charts; it is that easy. Data Studio offers a wide range of customizations and styles that allow you to change the look and feel of almost everything in your dashboard. You can even match the colors of the elements in your dashboard with your organization’s branding and colors. Thus, designing individual professional reports for the directors, managers, and executives of your organization becomes a very easy task. Data studio has an option to create calculated metrics that allow you to combine metrics using formulae that allows you to form a new metric. You can also use the calculated fields to clean up or format all the campaign parameters that are inconsistent, like a single medium’s lowercase and uppercase versions. Using Data Studio, it is easy to share and collaborate your reports and analysis with others. A great advantage is that you can simultaneously share and work on the same report. You can even share reports with your chosen people and set edit and view permissions individually. For instance, you can share the report with both your marketing team and clients, but allow edit permissions only for the team so that clients cannot make changes themselves. Google Data Studio’s quality is not even close to that of the prominent business intelligence tools currently in the competition (Like Tableau, Microsoft Power, et al). It is a fact that it doesn’t offer all the wide range of features and capabilities that other business intelligence tools offer. Nevertheless, it’s a very user-friendly tool with handy features that enable you to easily import data from many sources and create functional visualizations and reports. You can also save a great deal of time in trying to create these reports. Google also makes it easy to share your reports with others, just like the other Google collaboration tools. 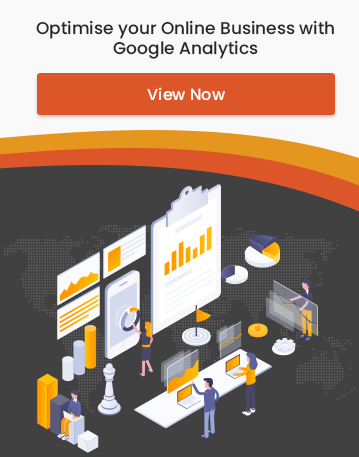 So, if you feel that you only need the features provided by Google Data Studio for creating your business analytics reports, then we would recommend you to give it a try.